Here are a few pictures of some pieces I am currently working on! 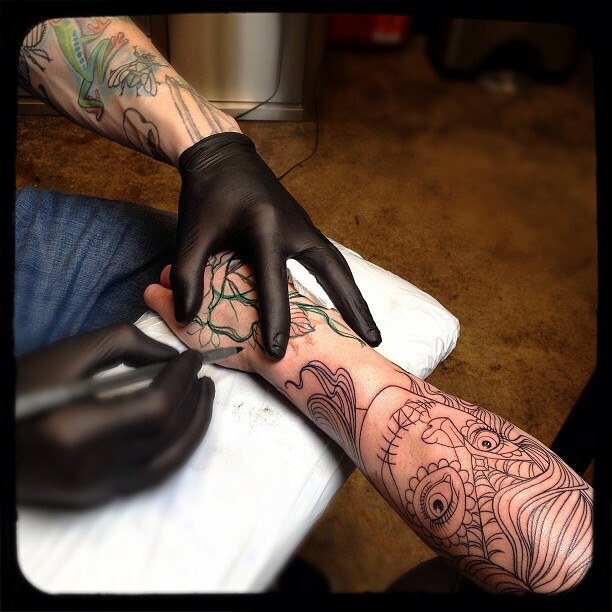 Can't wait to finish them! 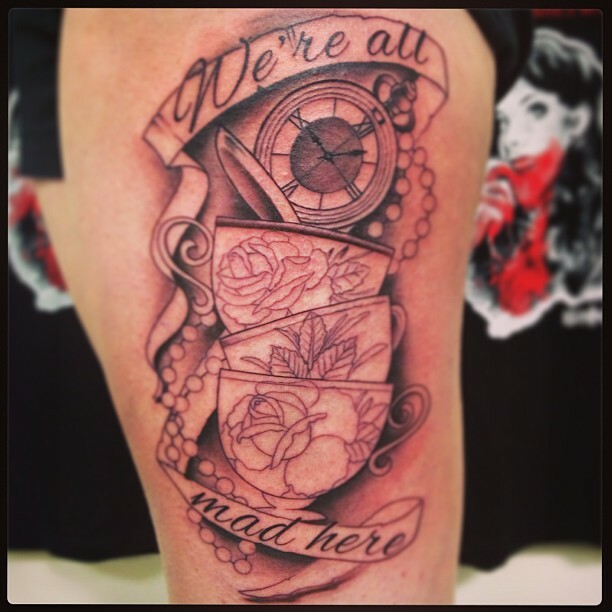 This is an Alice in Wonderland inspired black and gray thigh tattoo. I have a couple hours left on this one! 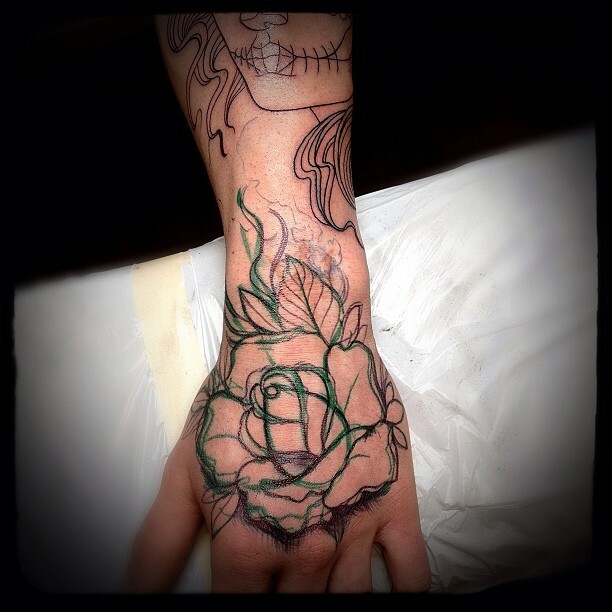 Drawing on the hand part of this full sleeve I am working on.